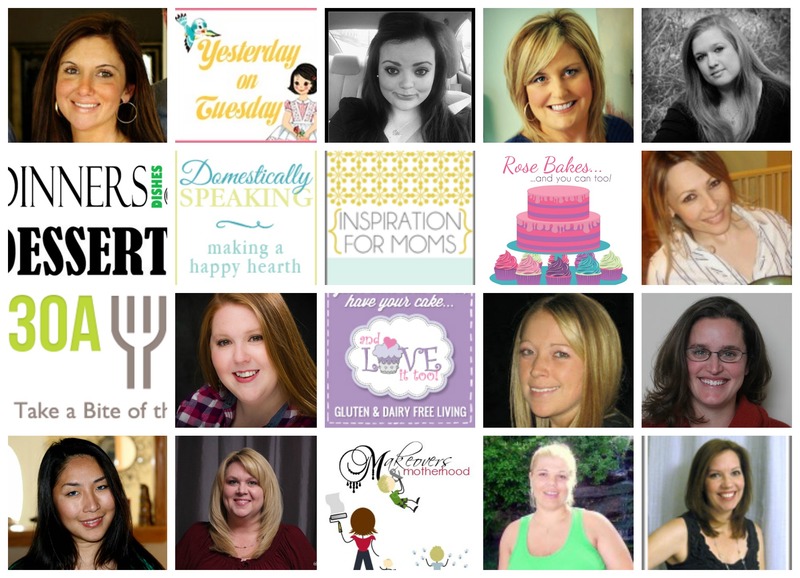 KitchenAid Mixer Mother’s Day Giveaway! We’re giving away a bright and shiny KitchenAid mixer! Your mom deserves one, right? Or maybe you deserve one. A couple years ago, my in-laws gave me a KitchenAid mixer for Christmas and it is still one of the best and most used gifts I have ever received! I love it! I love that it makes mixing up a recipe quick and easy, but I especially love the fun it gives my kids in the kitchen. Whenever I use it, one of my boys is always asking to help. Running the mixer is their favorite job! Not only does is aid us in making a delicious treat, but it blends in so many wonderful moments of quality time with my boys and to me, there is nothing better! So… it’s now your turn to be treated in the kitchen (or treat your mom if you can part with this lovely gift)! 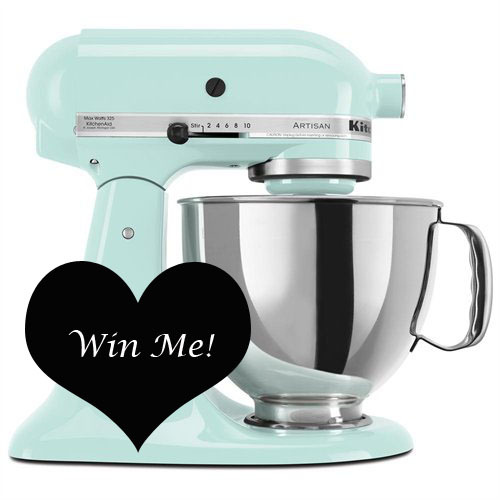 One lucky winner will receive a 5-quart Artisan KitchenAid stand mixer in the color “Ice”. Enter below using the Rafflecopter widget; you’ll have until May 4th to win. Good luck! What are your favorite kitchen memories? Please share! I’d love to hear from you! My great aunt’s sugar cookie recipe! I would probably make a cake and put chocolate icing on it! Chocolate sheath cake would be my first among many projects with my new mixer. A double recipe of something! My mixer is never big enough or my bowls! I take 2 giant pans of brownies to the Dump church (in Reynosa, Mexico) every Sunday (we’re missionaries but have a home stateside. That’s what I would do first with my new mixer! I am not exactly sure what the first thing I would make would be but it would be a super yummy treat for the kiddos! creamy mashed potatoes…my current mixer doesn’t really cream them! Surprisingly, I have never used my mixer for making mashed potatoes. I’ve always used my beaters! Thanks for the idea! I may have to try the mixer next time! the first recipe I would make is cheesecake. Always wanted one of these. Cheesecake is my favorite! If you win, I’m coming over for dessert! 😉 You’d love adding this fabulous machine to your kitchen. It makes cooking so much quicker… and funner too! I would make a big batch of brownies. Homemade brownies… yum! It wasn’t until a couple years ago that I had my first taste of homemade brownies. They were delicious! Do you have a cookie that you would call your baking specialty? We don’t do too many cookies at our house. The chocolate chip ones we set out to make generally gets eaten as dough instead of cookies!